He seemed calm, almost serene. Astrid didn’t know what to make of it. She expected Paolo to be angry or distant like Candy, but instead, there was a smile on his face. They walked far enough from the wedding festivities to get some privacy. Now that it was only the two of them, it felt like the whole world has disappeared. Astrid’s stomach was doing cartwheels. She opened her mouth, but words failed her. He studied her face with a strange smile. “And… what do you think?” Astrid asked, in spite of herself. “I see a lot of both of my daughters in you,” he smiled. Astrid couldn’t bear to go on. How could she even begin to describe how she felt? “I loved you too. I… I still do.” Astrid’s voice was shaky. She looked at him, with expectation palpable in her eyes. He turned around, making his way back to the reception. A smile spread across Astrid’s face. He didn’t hate her. She’d probably never stop loving him, and he’d probably never love her again. But he didn’t hate her. And in Astrid’s world, that was good enough. Paolo sat down beside his wife. “So, how was your… chat?” she asked bitterly. Slowly, Candy stood up. She let out a small chuckle. And then she burst in full-blown laughter. She couldn’t seem to stop herself. Paolo hugged his wife tightly. Things had been rocky between them ever since their memories got returned, but he now finally knew they’d be fine again. They had to be. And of course, aunt Yenn’s vigorous love of life itself. Yenn noticed Pauline was looking at her. She stopped dancing and walked over to her. “You know what would make this day even better?” Yenn asked her conspicuously. “Have you just read my mind?” Pauline grinned. “Speaking of which, I was going to suggest that you talk to your mother,” Yenn said. “I know,” Yenn said. “But right now, your grudges are the only thing clouding your special day. And you can change that. Change the memory in a very real way. No alien powers necessary.” She smiled. “You really need to stop being so annoyingly right all the time,” Pauline rolled her eyes. And with a sigh, she approached her mother. They sat together in uncomfortable silence for what felt like an eternity. At least, Pauline thought it was uncomfortable. But she noticed her mother beaming. Pauline could feel the corners of her mouth lifting in a smile. “I’m glad you were here,” Pauline realised. Neither of them said anything else, but neither stood up either. “I can’t believe the party lasted all night,” Pauline yawned, suddenly feeling the fatigue set in. “More importantly, we have a plane to catch… if we want to go on our honeymoon, that is.” Leo smirked. “Nice seeing you, Astrid,” Leo said politely. Leaving the wedding venue behind, Leo took Pauline’s hands in his. “Congratulations, Mrs Sorrano!” Peyton hugged her sister. Pauline’s aunts who were just casually drinking nearby both tilted their heads. The two sisters giggled as Pauline’s aunts returned back to normal. “Just between you and me, I kind of wish I could have taken Leo’s name,” Pauline whispered. “Oh no, don’t make me cry again, I did enough of that during the ceremony,” Pauline welled up. “Can you believe it? Pauline is all grown up,” Yenn sat down next to Astrid. Astrid glanced towards Candy and Paolo nervously. “Such a beautiful ceremony,” Candy enthused. “Thank you for inviting us,” Paolo added. “Don’t be ridiculous, like I’d get married without having my parents here,” Pauline blurted out. “Of course, we heard Astrid is here,” Candy said awkwardly. “I wish you were,” Pauline told her. The couple was planning to go to a resort near Windenburg, so they’d arranged to visit Paolo, Candy and Peyton before returning back to Newcrest. “Pauline really is a wonderful girl,” Candy sniffed, overwhelmed with emotion. While Candy and Paolo were sharing their emotional moment, Pauline’s uncles were a lot more pragmatic about the whole marriage business. “I bet Kiersten will be expecting romantic gestures for the foreseeable future now,” Noel sighed jokingly. “Speaking of which, apparently our sister’s here,” Noel gestured towards Astrid at the bar. As for Danrof, this was the first wedding he’d experienced, and he was determined to make the most of it, no matter if he was the only person dancing or if his moves irritated the other guests. Pauline let out a small laugh is she watched him. She was glad her and Danrof were able to stay friends. Which brought her to the next point on her agenda. “You guys haven’t changed at all,” she grinned as she joined Davion and Starr at their table. It was the first time she’d seen the two of them since her move to Newcrest. Her anger over them becoming a couple seemed like a distant memory now. They did look cute together, actually, she observed. “That I’m not jealous of you two?” Pauline finished his sentence. “I’m a married woman now! It was a good first kiss Davion, but don’t flatter yourself.” She teased. 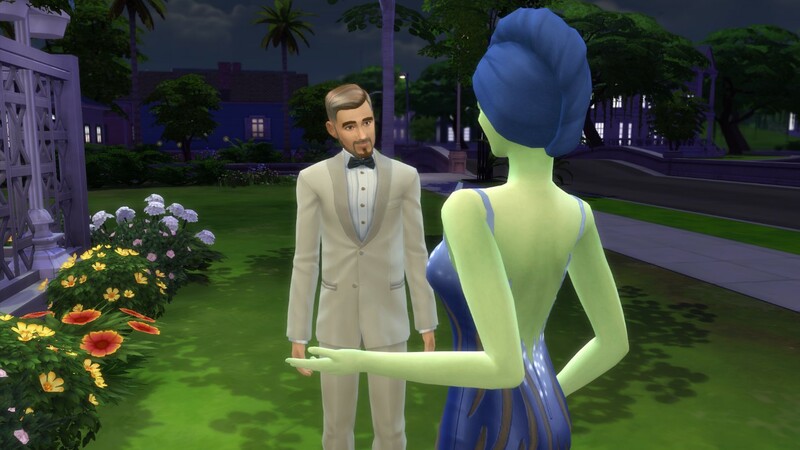 “Who knows, tonight does seem like quite the romantic night that might inspire someone to finally pop the question,” Starr looked at Davion, not so subtly. “You know what, it just might.” Davion answered. Starr became flustered. Probably best to leave these two lovebirds alone, Pauline chuckled to herself. Candy felt a shadow fall over her. It was her. “Since you can read minds, you should know that we have no desire to talk to you,” Candy said coldly. “Well I have nothing to say to you,” Candy retorted as she walked away. “I… I could talk.” He looked at his wife cautiously. A shocked expression spread over Candy’s face briefly, but she manged to compose herself. Astrid turned to Paolo. Even after all these years, seeing him made her feel weak in the knees. “Thank you,” she managed to say. “Nervous?” Yenn asked him with a bright smile. “Yes. No. It’s just… she’s taking a while, isn’t she? She hasn’t changed her mind, right?” He laughed uncomfortably. “I was just with her, so not unless it happened in the last 3 minutes,” Yenn joked. Leo’s worried expression told her that he wasn’t going to be appreciative of humour. She hugged the antsy groom and went over to greet Paolo and Candy. Something told her it wasn’t going to be an easy day for them. Maybe she should touch up her lipstick one last time. No. Time to go. She was just about to exit the room when the door opened. “You look stunning,” the echoey alien voice said. “What are you doing here?” she said sharply. “Is it so unusual for the mother of the bride to be present at the wedding?” Astrid attempted to smile. “Aunt Yenn invited you?” Pauline asked incredulously. “I’m sorry. I thought that maybe you’d want me here,” Astrid’s voice broke off. “Great,” Pauline gritted through her teeth. Pauline let out a deep sigh. Astrid felt as if her daughter plunged a knife in her. The only thing worse than Pauline not wanting her at the wedding was her not caring if she was there or not. Astrid’s gaze followed her daughter to the doorway. “I almost forgot,” Pauline stopped before exiting the room. Astrid looked up with a glimmer of hope. And with that, Pauline walked out the door. Leo only needed one look at his gorgeous bride. “Something’s wrong,” his heart sunk. Leo was there. He was holding her hand. They were about to get married. Nothing and no one was going to ruin this day for her. Pauline and Leo had only just finished their breakfast and were about to decide how to spend the rest of their day, when they heard the doorbell. “I’ll get it,” Pauline offered. “Hurry back,” Leo blew her a playful kiss. “Aunt Yenn!” Pauline stopped in her tracks. Yenn looked around the familiar room. “New man? I wouldn’t know about that,” Yenn smiled innocently. “I’ve met lots of people. Made many new friends,” Yenn’s eyes sparkled. “You should have stayed there longer!” Pauline interrupted. “I do try,” Leo smirked. The three of them sat down to catch up, with Pauline recounting all about how her and Leo first got together, and the proposal. In return, Yenn told them about the connections she made, the gorgeous sunrises and the paintings she’d brought back with her. Leo then left the ladies on their own, to give them a chance to properly enjoy their reunion. … still felt the same appreciation for life. But even though she looked so happy, and Pauline couldn’t help but smile when looking at her, was she really satisfied with the outcome of her stay at the Freezer Bunny resort? “It’s just… why did you say you found love at the retreat, when there is no new love in your life?” Pauline asked awkwardly. Yenn tilted her head, pausing for a moment. “Romance is a beautiful thing, isn’t it?” Yenn agreed. “All I need to do to see it is look at you and Leo,” Yenn added. “Ah, well it’s hard to focus on anyone else when I see the way you two look at each other,” Yenn chuckled. She looked at the building with quiet appreciation. It warmed her heart she’d contributed to the town’s development with building a place that has seen generations get married. Even Pauline would soon join them, with her wedding set to take place here. But it wasn’t thoughts of weddings that made Yenn come here. Or the pride she felt for the legacy. She walked past the graves of her ancestors with respect and appreciation, but she didn’t stop. For a brief moment, Yenn’s light left her face. She sat in silence. At last, her lips curved into a smile again. Peyton grunted. She recognised Royce’s voice immediately, but it wasn’t like she could hide – she was already outside in plain sight. “That makes one of us,” she rolled her eyes. “I’m not sure what to say,” Peyton stared at him. Peyton couldn’t believe that for a brief moment, she’d almost fallen for his plum. Peyton was consumed by her rage. She wasn’t sure how long she’d stayed on the porch for. It could have been a few seconds, or an hour… Next thing she knew, her sister had gotten home from work. “Peyt? Are you alright?” Pauline approached her, worried. “I need to get out of here,” Peyton realised. So that’s what this was about, Pauline thought. Of course. “What has he done now?” She asked. “But… we’ll turn it around. I promise,” Pauline pleaded desperately. “Peyton moved out,” Pauline announced. “This house is way too large for just one person. Besides, I need you to protect me,” Pauline batted her eyelashes jokingly. They spent the morning lounging by the pool. Pauline was trying to pay attention to what Leo was saying, but for the more often than not, she found herself drowning in his green eyes. Not to mention the kissing. Pauline’s mind trailed off giddily. Was there such a thing as a daydream within a daydream? In the afternoon, she practiced music for work while Leo read a book. Pauline had no idea Leo was into reading, but apparently Leo and his sister had loved books ever since childhood. Who would have thought? And now she would learn new things about him every day, she smiled to herself. She should make a point of asking what his book was about later. In the evening, Leo offered to cook. “This is actually really good,” Pauline revelled, savouring the taste of the sauce. “Are you really surprised that an Italian knows how to cook spaghetti?” Leo winked at her. “The biggest,” Leo joked, gesturing. “You’re amazing, you know that?” Leo stopped laughing. The couple finished their day with a slow dance on the back deck. Pauline watched him drop to one knee, as in slow motion. The neighbours could probably hear Pauline’s heart pounding. This was crazy. And wonderful. And crazy. Pauline couldn’t wait to see Leo again. Luckily for her, he felt the same way so the two lovebirds met in the Ruby Perrin park the very next day. “You look pretty,” Leo greeted her. “I look the same as always,” Pauline shrugged. “That’s because you always look pretty,” he smiled. Pauline looked around nervously. Accepting compliments still wasn’t her strong suite. “Putting soap in the fountain?” Leo fake gasped. “Surely that’s not what the Newsrest heiress should be doing,” he teased. “True,” Leo agreed. “But it must have been harder for them to keep going. They didn’t know how great the place would become one day. Must have been harder to find motivation. You… you just need to look around,” he smiled. “Easier said than done,” she chuckled. “Anyway… sorry to have such a serious conversation right off the bat. But this legacy is important to me. It will come up often… if you stick around, that is.” She added, flustered. “I suppose another tip for the legacy is never start what you can finish… because you’ll have to live with the consequences,” Leo grinned impishly. Instead of an answer, Leo started splashing her with the fizzy water. Before Pauline knew it, they were in the fountain, bubbles flying everywhere. They ran around like crazy kids as if the time had stopped, splashing at each other. “Ok ok, I surrender,” Pauline giggled, drenched. And with that, he swept her in his arms in the longest and most passionate kiss Pauline had ever experienced. …she couldn’t help but wonder but things haven’t really been going her way lately. 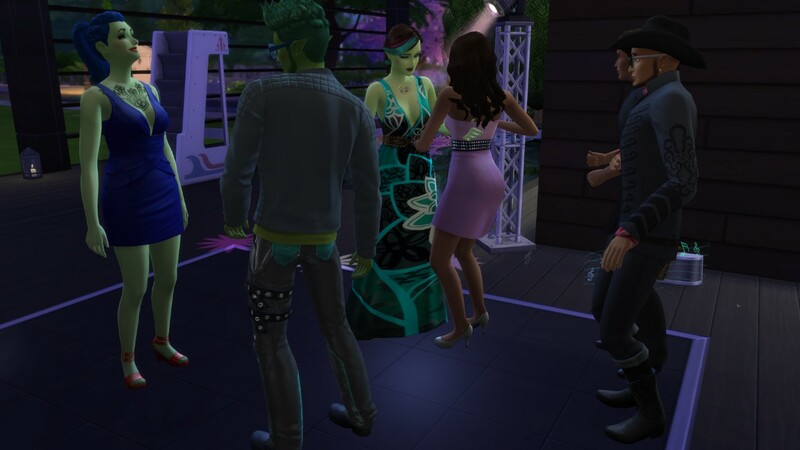 She used to be popular in Windenburg, and although she was hardly lonely now, it didn’t feel like she had as many friends. Her career in the entertainment industry wasn’t really progressing much (Pauline, on the other hand had just become a jingle jammer, entering into the music business). And as for Peyton’s love life… aside from all the plummery with Royce, there was nothing new on that front whatsoever. “Run,” Pauline yelled making her way to the fire with an extinguisher. Not that Peyton needed prompting. Thankfully Pauline managed to extinguish both her sister and the kitchen. Crisis averted. “Or ask your foodie boyfriend to cook,” Peyton winked. “You sure looked like a superhero with that fire extinguisher,” Peyton grinned. But on the inside, she didn’t feel like smiling at all. Since when was it her who needed to be saved by Pauline, and not the other way around? Perhaps Royce had been seeing her for a while, and she was the reason for his sudden coldness. Or maybe it was a new development, with him being determined to show he had no interest in alien women. In either case, seeing him with her made Peyton feel like she was stabbed in the gut. “Oh hi Peyton, Pauline,” Royce waved at them, looking smug. “Hi Royce,” Pauline attempted to stay civil. “Hope you girls aren’t jealous,” Royce walked over to them. “Woah, woah…” Royce stepped back. She picked up her drink, made a few steps towards Royce and then threw the contents of her glass into his face with full force. “Take that, Royce!” Pauline shouted angrily at the screen while tapping at the buttons aggressively. The arcade in the basement was the newest addition to the Captain Duckhorse Library. From what aunt Yenn said about her father, Peter would have approved of the upgrade to his community lot. “You’re right, why would I take my anger out on a machine when Royce is right over there?” Pauline pointed towards the other side of the room. “Gotcha!” she yelled out as soon as Danrof turned around. “I let my feelings get the best of me, and transferred my anger into all the wrong places. Kind of like now,” Pauline realised. Pauline wasn’t sure what to make of all of the realisations that were coming to her. “Besides, I hear that it’s important to learn from past mistakes,” Danrof continued. “Once again, you’ve got the best approach to everything,” Pauline shook her head. “So, will you not be revisiting dating possibilities with the other individual?” Danrof asked. Pauline looked down, observing the tips of her feet as if they were the most interesting thing she’s seen in a long time. Pauline smiled for the camera. “Wait, did you say non-date?” it dawned on Pauline. “Do you think there is romantic potential for the two of us?” he replied with a question. Across the desk, Leo was smiling brightly at her. “Leo! Just the person I wanted to talk to,” Pauline grinned. “Really?” Leo seemed taken aback. “Yeah… would you mind talking outside? Unless you’re busy…” Pauline’s eye lingered toward Leo’s monitor. “So, what can I help you with?” Leo asked. “I realised that after an initial inspection of our romantic potential, we failed to re-evaluate our attachment,” Pauline grinned. Pauline decided to explain in a more instructive manner. Leo chuckled, but then his face grew serious again. “I suppose I did,” Pauline nodded. “Well, you should know that I’d be happy to… how did you put it? Re-evaluate it,” Leo told her. A surge of happiness went through Pauline’s body. For a moment, the two just stood there and looked at each other giddily. And Pauline truly understood what feeling pink felt like. She gave him a significant look. She felt ready. And with that, he kissed her on the cheek. Pauline had a cold shower as soon as she got home. The fire she felt earlier somewhat toned down, but the joy remained. He was so dreamy. And such a gentleman too! For the first time ever, she felt so happy she could explode. Having been through a fair share of ups and downs in the recent days, Peyton and Pauline decided that a party was in order. After all, what would be a better way to let go of all the drama in their lives? “Dude, you have issues,” Caleb shook his head and exited the room. It seemed that every time he was in the vicinity of Peyton and Pauline, he would end up getting yelled at by a stranger. Quite the life these girls lead, he thought. “Get lost,” Royce snarled at him. Royce rolled his eyes and stomped away, muttering to himself. “Hi Pauline,” Leo approached the girl nervously. “Thanks for coming,” Pauline smiled. He failed to finish the sentence. “No, I shouldn’t have taken you there in the first place,” he shook his head. “I’m not offended,” Leo replied. “It’s just, there’s one particular bar patron who I’d like impress a lot more than the others.” He looked at her coyly. “I think you already have,” Pauline winked at him. He snuck into the downstairs bathroom, as nonchalantly as he could manage. As soon as he closed the door behind him, a huge grin spread across his face. “So Royce, what’s your game?” Pauline causally turned to Royce when Leo left the room. “Didn’t realise it was ticketed entry,” Royce smirked. And with an innocent smile, she left him to mull that over. “Have you reached the same conclusion about Royce as I have?” Danrof asked Pauline. “I like the way your dress matches your hair,” Danrof said matter-of-factly. Leo was joined by his sister, Tabitha. “Well, they are friends… just friends… I think.” Leo looked across the room with uncertainty. She casually carried her plate over to the table to get within earshot, joining a very pouty Cygnus. “Who stole your kitten?” Tabitha asked him. “Well obviously, where else am I going to find a dance partner whose outfit compliments mine?” she smiled politely. “Whah!” he literally jumped in. “Oh sorry, I’ll leave you to your dance partner then,” he teased her. “We’ve got to have each other’s back,” Tabitha smiled. Tabitha pulled out her phone to snap a quick selfie of the sibling pair. Meanwhile, Pauline had already started dancing solo. Danrof came closer to her. “Just give it a try,” Pauline laughed. Leo just watched them sadly from the corner of the dance floor. Danrof bounced from side to side awkwardly. Pauline didn’t quite know had to respond. As a half human, she herself hasn’t experienced it herself, but she’d been around enough aliens to know what a pink glow meant. Question was, did Danrof make her feel that way? Peyton, on the other hand was not feeling pink at all. “I was, but it seemed you may need someone to talk to,” he said simply. “I’m ok, really,” Peyton dismissed him. “From what I’ve witnessed on this planet, romantic feelings cannot be controlled,” Danrof said. “Speaking of romantic feelings, you and Pauline seemed to hit it off,” Peyton changed the topic. “I’ve never explored a romantic connection with another individual,” Danrof admitted. Danrof was the last person to leave that evening. Peyton cleared her throat significantly. The past you’ve burried somewhere deep down inside, in a forgotten place comes back to haunt you, with a thousand piercing what ifs. You wake up, and the man next to you who you’ve loved for years feels like a random presence in your life. Yes, the past is in the past. Yes, he loves you. But does it matter, if you feel like you’ve been a zombie that’s just awakened back to their mortal life? I never asked for those memories back. I’ve been happy leading my life without them. Now that they’ve been returned, I feel like they’re flooding into my life through every tiny gap that they can find. Close the door? They’ll creep in through the window. Slam the window shut? They’ll find a hole in the ceiling. It’s no use. Once the past has been unleashed, you can’t stop it from accompanying your every move. “But it changes things,” he said. “Does it?” I wasn’t sure. Nothing has changed, in reality. The reality has been the same for years. We were just blind to it. I was blind to it. Paolo has never been a deep thinker. But the occasional deep statement he makes tugs at all the right strings. That’s why I’ve fallen for him, way back… stop. “I guess that’s what happens when your memories get wiped and then returned,” I said bitterly. “Then I’ll have to find that switch,” Paolo said, determined. “I don’t think it’s that easy. “Right,” Pauline gritted through her teeth. Astrid was the last person she wanted to be reminded of. The date was off to a disastrous start already. Still, she did like Leo, so she forced a smile and followed him inside, trying to pretend enthusiasm for the paintings she loathed. Bumping into her uncles who were discussing Astrid’s assumed whereabouts did not help. Just keep smiling, Pauline told herself. “We should probably sit down for this one,” Pauline gestured towards the glass area with benches. “You see, my mom would always swap her disguises and identities, since she always loathed herself,” Pauline started. “I’m sad to hear that,” Leo commented sincerely. “I’m sorry Pauline, I had no idea,” Leo said quietly. Leo stared at her, dumbfounded. “No, don’t apologise. It’s my fault. I picked the worst place imaginable to bring you to,” he laughed bitterly. Leo pulled her closer. For a moment, Pauline forgot she was in that plum art gallery. They exited the museum, passing the last paintings Astrid hadn’t finished before moving to Sixam. “It’s like she’s everywhere,” Pauline shook her head. They lied down on the ground, gazing upwards in silence for a moment. “You see that constellation over there? The one that looks kind of like a plumbob? That’s where Sixam is,” Pauline pointed towards the sky. “I wish there was something I could say to help you,” Leo told her. “I know, you could have saved yourself this pathetic date experience,” Pauline stood up. Leo wanted to reply, but Pauline had already turned away. She pulled out her violin and started playing. For a while, he just listened to the sorrowful melody. But he didn’t want to pry, so he walked away in the end. Pauline composed her first song that night. Perhaps, with the help of music, she would be able to let go of the anger and hate she felt towards her mother sometime. But tonight was not that night.